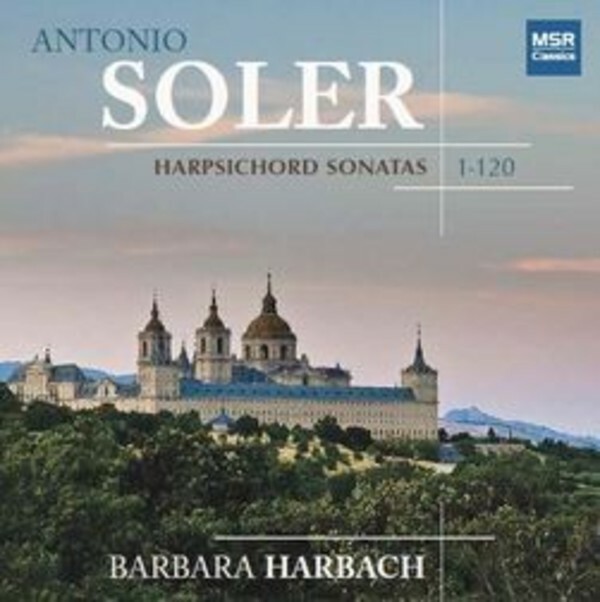 Twenty years in the making, Barbara Harbach's complete recording of all 120 Harpsichord Sonatas by Antonio Soler (1729-1781) is an epic achievement spread over no less than fourteen discs. Throughout Barbara Harbach has used the same instrument and recorded in the same location. All the music comes from the Padre Samuel Rubio Editions of Soler's Sonatas. The scale of Soler's imagination in these works is quite amazing. While the majority are one movement works - in a previous time just right for a 78rpm side - quite a few sonatas are extensive three and four movement works, marking out Soler as a genuine musical innovator. Barbara Harbach has written extensive programme notes, highlighting some of her favourite sonatas, and MSR Classics have packaged the fourteen discs in cardboard sleeves in a beautifully presented clam shell style box. Harpsichord built by Willard Martin in 1989, a copy of an 18th century two-manual French double harpsichord, designed by Fran�ois Blanchet.